This necklace has elegant charm! 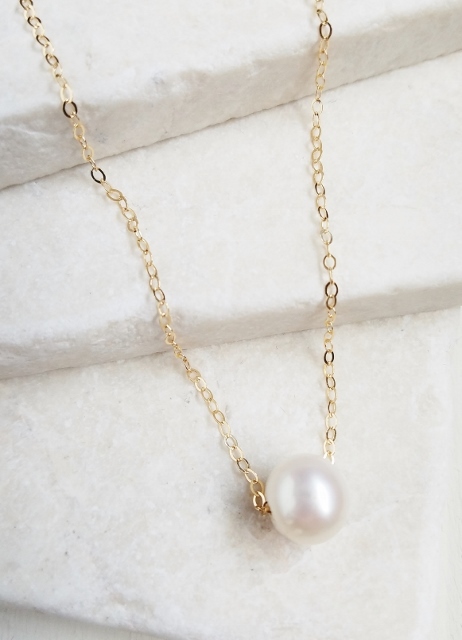 This 14k gold-filled freshwater pearl in classic white will shine for you all day and night. This is the perfect everyday and every occasion necklace.